Men are at risk if their waist measurement is greater than 40 inches (102 centimeters).Women are at risk if their waist measurement is greater than 35 inches (89 centimeters). Keep a food diary. Writing down what you eat, even for just a week, can shed surprising light on your true eating habits. Monitor what you eat, how much, when and why. Consider boosting potassium. Potassium can lessen the effects of sodium on blood pressure. The best source of potassium is food, such as fruits and vegetables, rather than supplements. Talk to your doctor about the potassium level that’s best for you.Be a smart shopper. Read food labels when you shop and stick to your healthy-eating plan when you’re dining out, too. Even a small reduction in the sodium in your diet can improve your heart health and reduce blood pressure by about 5 to 6 mm Hg if you have high BP. Read food labels. If possible, choose low-sodium alternatives of the foods and beverages you normally buy.Eat fewer processed foods. Only a small amount of sodium occurs naturally in foods. Most sodium is added during processing.Don’t add salt. Just 1 level teaspoon of salt has 2,300 mg of sodium. Use herbs or spices to add flavor to your food.Ease into it. If you don’t feel you can drastically reduce the sodium in your diet suddenly, cut back gradually. Your palate will adjust over time. Drinking more than moderate amounts of alcohol can actually raise blood pressure by several points. It can also reduce the effectiveness of BP medications. The role caffeine plays in blood pressure is still debated. Caffeine can raise blood pressure up to 10 mm Hg in people who rarely consume it. But people who drink coffee regularly may experience little or no effect on their BP. Change your expectations. For example, plan your day and focus on your priorities. Avoid trying to do too much and learn to say no. Understand there are some things you can’t change or control, but you can focus on how you react to them. Focus on issues you can control and make plans to solve them. If you are having an issue at work, try talking to your manager. If you are having a conflict with your kids or spouse, take steps to resolve it. Avoid stress triggers. Try to avoid triggers when you can. For example, if rush-hour traffic on the way to work causes stress, try leaving earlier in the morning, or take public transportation. Avoid people who cause you stress if possible. Make time to relax and to do activities you enjoy. Take time each day to sit quietly and breathe deeply. Make time for enjoyable activities or hobbies in your schedule, such as taking a walk, cooking or volunteering.Practice gratitude. Expressing gratitude to others can help reduce your stress. Home monitoring can help you keep tabs on your blood pressure, make certain your lifestyle changes are working, and alert you and your doctor to potential health complications. 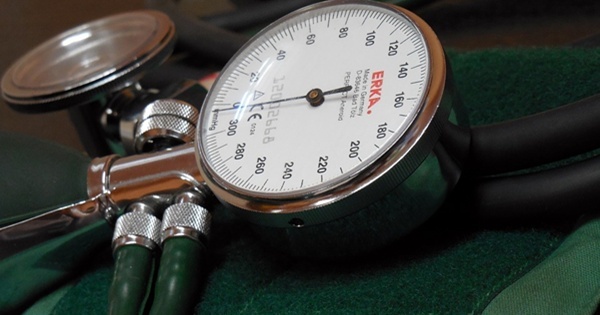 BP monitors are available widely and without a prescription. Talk to your doctor about home monitoring before you get started. Regular visits with your doctor are also key to controlling your blood pressure. If it is well-controlled, check with your doctor about how often you need to check it. Your doctor may suggest checking it daily or less often. If you’re making any changes in your medications or other treatments, your doctor may recommend you check your blood pressure starting two weeks after treatment changes and a week before your next appointment.